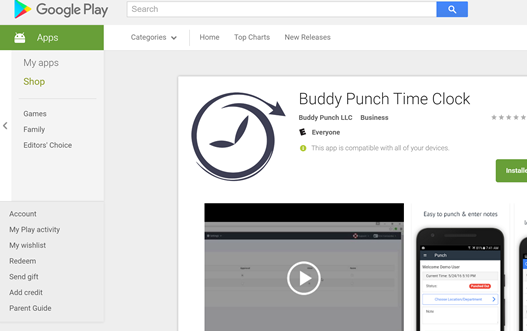 You can use our smartphone apps or you can use Buddy Punch from a browser. We have an Android app that you can use, but you don't have to - you can login from your phone's browser by visiting app.buddypunch.com. If you do choose to use our apps the link for the Android version is below. To use the Android app your device will need to use Android version 4.4 or higher.